← Brasserie de l’île – quel dommage! And then I hardly even cook from them! 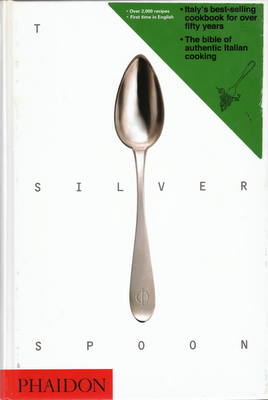 The other day, I was determined to start doing so, and picked up one of the larger ones on the shelf – The Silver Spoon. I asked for it (and received it) for Christmas 4 years ago, and haven’t used it ONCE. Considered to be the Bible of authentic Italian home cooking, it has over 2,000 recipes, weighs 1.5kg (I checked it on my scale! ), and has nice coloured pictures scattered throughout. Since I had some osso bucco (veal shank) in the freezer, I chose to make a Milanese Osso Bucco (Ossibuchi alla Milanese), and a Tarte Tatin – not an Italian dessert and so a bit out of place, but I’ve always wanted to try it. ♥Melt the butter in the saucepan, add the onion and cook over low heat until soft, for 5 minutes. ♥Wash the veal, pat dry, then dust with flour. Add the veal to the pan and cook over a high heat until browned all over. Turn down the heat, season with salt and pepper then cook for a few minutes more. ♥In a separate, pan, fry the pancetta until cooked. Drain on paper and set aside. ♥Pour in the wine and cook until it has evaporated. ♥Add the stock (you can make your own, but I just used ready-made beef stock), carrot and celery, and pancetta, lower the heat, cover and simmer for 30 minutes, adding more stock if necessary. ♥Mix the tomato pureé with one tablespoon of hot water in a bowl and then add to the pan. Throw in the chopped parsley, and you’re good to go! ♥Bring the stock to the boil (again, I used normal beef stock). Continue to keep your stock simmering in this pan for the entire cooking process. ♥In another pan, heat the butter, add the onion and cook over low heat, stirring occasionally for 5 minutes. At this point the recipe calls for adding bone marrow, but I went without. ♥Stir in the rice and simmer, mixing until all the grains are coated in butter. Add a ladleful of the stock and cook, stirring continuously, until it is absorbed. ♥Continue adding the stock and cooking in this fashion, one ladleful at the time until it is absorbed. This will take about 18-20 minutes. ♥Before adding the final ladleful of stock, add the saffron threads. When the rice is tender, take it off the heat, add the parmesan and serve immediately. We really enjoyed the osso bucco, and the risotto was perfect. The only issue with risotto is that it’s a pain in the a**, you have to watch over it constantly in order to get it right. Like all things cooked with love and attention, if you have the patience to pour and stir, then you are guaranteed a good risotto every time. The sauce of the osso bucco turned out really well, although I halved the amount of butter – 80g seemed a bit unnecessary! We also lamented the fact that it’s difficult to get good quality veal in Hong Kong. I bought mine frozen from South Stream Seafoods, the veal taste was apparent, but the meat was tough. I will try to order it again in the summer, when fresh chilled veal is available on their website. I halved the recipe for the risotto but stuck to the original recipe for the veal, so we had leftovers. The next day, PB bought some fresh tagliatelle pasta (YUM!) from Citysuper. I chopped up the veal, spooned out the marrow, and heat it all up together with an additional tablespoon of tomato paste mixed with a tablespoon of hot water. The fresh pasta cooks in 3 minutes, drain it and reserve a tablespoon or two of the pasta water to add to the veal sauce for more sauciness. Toss the pasta with the sauce and EAT with a simple salad. As for my tarte tatin, I made the pastry myself and it took bloody ages to peel, core and slice the apples. It was a last minute decision to make this and so I only used Granny Smith apples from Wellcome, and not expensive, imported varieties from Citysuper. And I’m glad I didn’t, because it was a fail. I should have known that such a simple recipe wouldn’t have worked. It looked good, but the pastry was way too heavy, the apples unremarkable, without that caramel-y goodness, and the dish forgettable. Serves me right for trying a French recipe from an Italian cookbook! 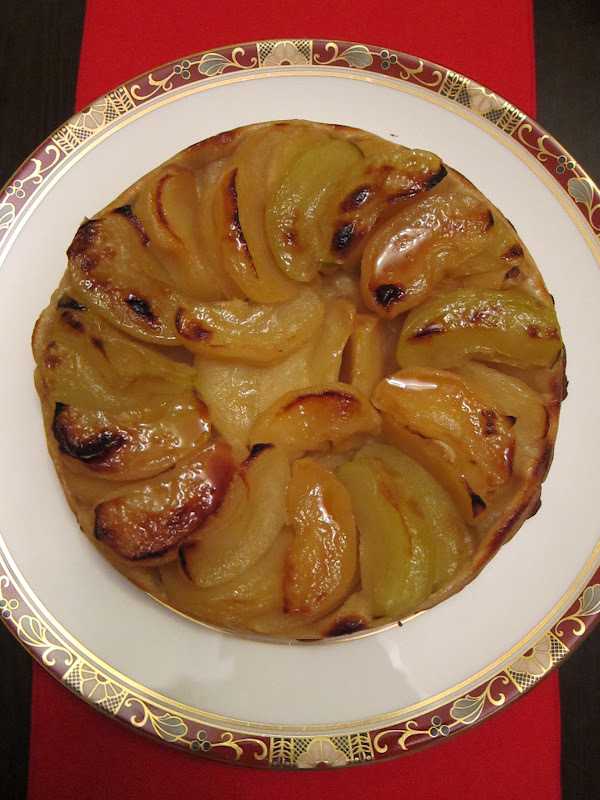 Next, I will try the Tarte Tatin recipe from a classical French cookbook that I was given for Christmas 2011 – I’ll share it with you when I get around to it!